Select File, Identities, Add New Identity. Outlook Express displays the New Identity dialog box. Type the name of the new identity in the Type Your Name text box. To protect the identity with a password, activate the Require a Password check box. Outlook Express displays the Enter Password dialog box. Type the password in both the New Password and Confirm New Password text boxes, and then click OK to return to the New Identity dialog box. Click OK. Outlook Express asks whether you want to switch to the new identity. Click Yes. Outlook Express closes, restarts, and launches the Internet Connection Wizard to set up the initial account for the new identity. Run through the wizard’s dialog boxes . Only that identity’s accounts are available.  Only that identity’s messages and folders are visible. Only that identity’s contacts are listed in the Address Book and Contacts list. Although the logged-on identity sees only its contacts, it’s possible to share contacts among identities. In the Address Book, add the contacts you want to share to the Shared Contacts folder. For contacts that already exist, drag them from the identity’s Address Book and drop them on the Shared Contacts folder. That identity can customize Outlook Express and the new settings will affect only that identity’s version of the program. Select File, Switch Identity. The Switch Identities dialog box appears. Use the list of identities to select the one you want to use. Use the Password text box to enter the identity’s password, if applicable. Click OK. Outlook Express closes and then restarts with the chosen identity logged on. How do you know which identity is currently logged on? The easiest way to tell is to look at the Outlook Express title bar. For example, if the Inbox folder is currently displayed, the title bar will say Inbox - Outlook Express - Identity, where Identity is the name of the current identity. Select File, Identities, Manage Identities. (Alternatively, click the Manage Identities button in the Switch Identities dialog box.) Outlook Express displays the Manage Identities dialog box, shown in Figure 1. Figure 1. Use the Manage Identities dialog box to make changes to your Outlook Express identities. Use the Identities list to select the identity you want to work with. Remove Click this button to delete the selected identity. Note that you can’t delete the Main Identity. Properties Click this button to change the selected identity’s name or password. Other programs might also be identity-aware (an example is the Windows Messenger program that ships with Windows XP). To determine which identity is logged on when you start those programs, make sure that the Use This Identity When Starting a Program check box is activated, and then use the drop-down list to choose which identity you want logged on. If an identity-ignorant program needs to request that Outlook Express create a new email message, the program won’t be able to ask you (or Outlook Express) which identity to use. 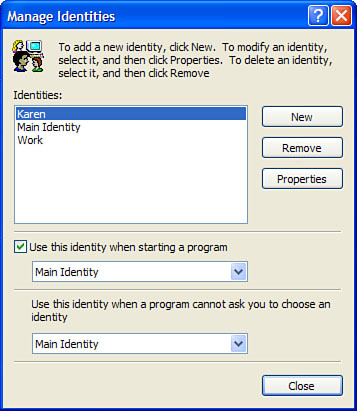 For these situations, pick out the default identity from the Use This Identity When a Program Cannot Ask You to Choose an Identity list. As a convenience, Outlook Express leaves you logged on to your identity when you exit the program in the usual way (that is, by selecting File, Exit or by pressing Alt+F4). This means Outlook Express uses your identity the next time you start the program. However, if someone else starts the program in the meantime, they’ll be logged on to your identity and will have access to all your accounts and messages. That obviously defeats the purpose of identities. To prevent this from happening, always log off your identity when you shut down Outlook Express. You do that by selecting File, Exit and Log Off Identity. Another way to log off Outlook Express is to select File, Switch Identities and then click the Log Off Identity button in the Switch Identities dialog box. The next time you (or anyone else) launches Outlook Express, the first thing that appears is the Identity Login dialog box. Select the identity you want to use, type a password, if necessary, and click OK. There you find subkeys that use the same 32-character user IDs. Select the subkey you want and then look for the Username setting, which tells you the identity name. When you know which folder is which, open it and head for the Microsoft\Outlook Express subfolder, which is where the .dbx files are stored.